Video collaboration company Lifesize, newly independent from tech accessories company Logitech, aims to double its account list over the next 12 months, according to founder and CEO Craig Malloy. Lifesize was officially spun out in mid-January, with the help of $17.5 million in funding from venture capital firms Redpoint Ventures, Sutter Hill Ventures, and Meritech Capital Partners. Logitech (logi) still owns a “meaningful” interest but the separation was planned for more than a year as Lifesize morphed from its original mission as a videoconferencing equipment provider into a cloud software provider. One particular point of tension: Lifesize’s growing dependence on deferred revenue, which was weighing on Logitech’s stock, Malloy said. “Now, we’ll both be able to generate much more buzz around our respective companies. We can also invest in other areas,” he said. Malloy has been involved with video communications since 1994. His previous venture, ViaVideo, was bought by Polycom in 1998. He founded Lifesize in 2003, left for a while, and then returned in 2014 for this reboot. 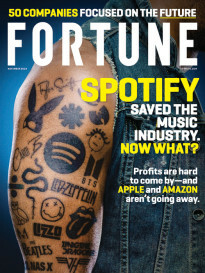 Get Data Sheet, Fortune’s daily newsletter about the business of technology. Malloy has reason to be confident about the company’s prospects: Lifesize signed up more than 2,000 customers for its cloud service in the first 18 months, including big companies like French chemicals giant Air Liquide and media organization Omnicom Group. Malloy thinks his organization’s ability to support existing equipment while enabling a broader number of people to participate in video discussions will differentiate Lifesize’s approach from upstart rivals, such as well-funded Blue Jeans Network, and huge competitors such as Cisco, Microsoft, and Polycom. “Conference rooms still matter to businesses,” he says. Market research firm Frost & Sullivan estimates the global market for conferencing services at $9.4 billion for 2019. Videoconferencing will become a far larger category over the next three years, growing at a compound annual growth rate of 22.2%. “Lifesize’s biggest challenge lies in lack of significant market visibility and recognition in a market where big names have the potential to win the game,” says Frost & Sullivan analyst Roopam Jain. Even Derek Jeter is investing in cloud videoconferencing. 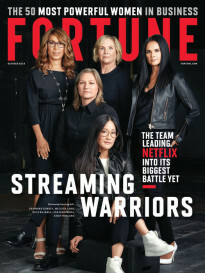 Among the “big names” it needs to worry about the most are Microsoft, which is turning Skype into a formidable option for consolidating conferencing and traditional telecommunications services; and Cisco, which in November spent $700 million on British company Acano to finetune its own videoconferencing focus. Incidentally, Lifesize’s former parent Logitech Wednesday reported revenue growth and profits for its December quarter that beat expectations. That revelation sent its shares soaring 9% Thursday, bucking the down trend for tech stocks.